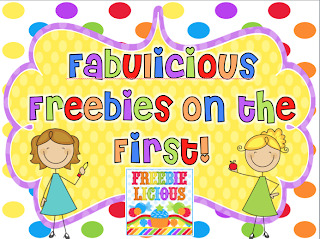 I stumbled upon a fabulous little FREEBIELICIOUS Linky Party and just knew I had to join in! Who doesn't love FREEBIES? Or LINKIES? So, I'm here to share a FREEBIE that I hope will come in handy this time of year. 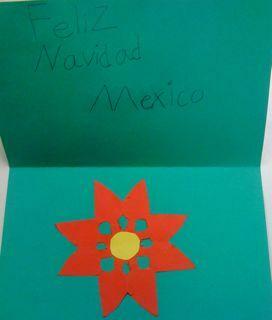 It's a "Holidays around the World Suitcase" file. Click the picture below to head over and pick up the freebie! Most years, we travel around the world in December learning about each continent and holiday traditions of certain countries within each continent. 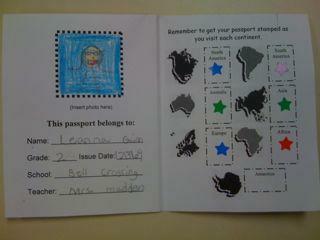 As we "travel" students collect (create) souvenirs from each of their stops to bring back home with them. Of course, we need a way to carry all of those souvenirs, so we create our very own little suitcases! 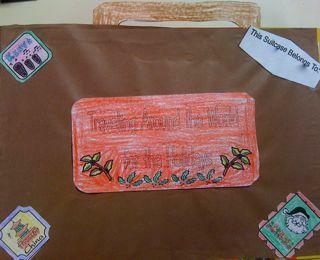 Students each bring in a cereal box with one of the long, skinny side-panels cut out. We paint or wrap them in brown, add handles and tags, and then collect country stamps to paste on our suitcases as we travel! 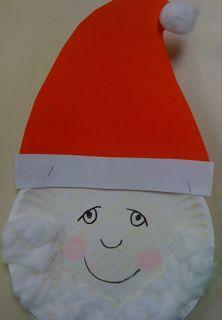 I'm constantly changing up the crafts (souvenirs), here are a few pics of some we've done in the past. We often start here at home and talk about our Christmas traditions. 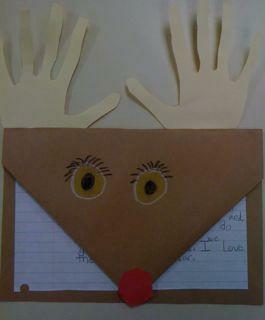 Students make the "oldie but goodie" reindeer to hold their own traditions writing. 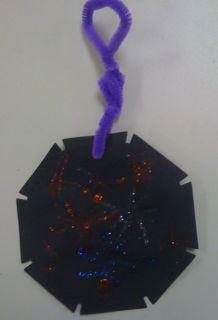 We use glitter glue to create firework ornaments from Brazil. We create Christmas crackers (poppers) from Australia. These are probably a favorite! We use toilet paper tubes and wrap them in student-designed wrapping paper. The tubes are filled with candy and prizes that they can enjoy when they "pop" them open on Christmas day! We create finger drums using styrofoam cups hot-glued together. Students cover the openings with masking tape (two layers, one in each direction) and then we use shoe polish to antique them before decorating. 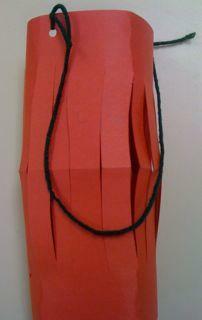 Paper lanterns are created after visiting China! 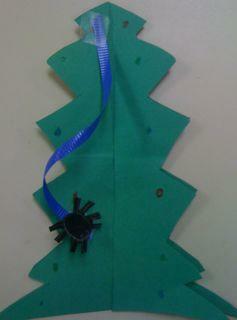 In Germany, we create 3-D Christmas trees with spiders hanging down after learning about the tradition of tinsel. We end our travels in Greenland, "Santa's country" before coming back home. Click on the passport above if you'd like to see the entire unit used. I hope the suitcase freebie helps you "organize" your holiday crafts and travels! Aww...thanks, Linda! That means a lot coming from you! I always look forward to your link ups with the great things happening in your classroom!